Something happening here; what it is, isn't exactly clear. What the heck was going on Saturday in the alley behind the 100 block of E Grand Avenue? A white mini-van was there. People were milling around. Sometimes the mini-van was moving, and people were running around. Weird. While word on the street is “alley-way-cul-ture” is a secret Escondido happening, this was unusual even for that. Turns out this was the master vision of John Paul the Great Catholic University student filmmaker Nicolas Alayo. He’s got a YouTube channel at https://www.youtube.com/channel/UC8dJ8Y97kmjnfq1rI4be6OA. John Paul the Great Catholic University. John Paul the Great Catholic University wasn’t even on the map a few years ago. It was founded in 2006 at Scripps Ranch with the intention of combing two disciplines that generally don’t seem to be grouped together: Biblical theology and film production. The school offers bachelors and masters degrees in those areas. 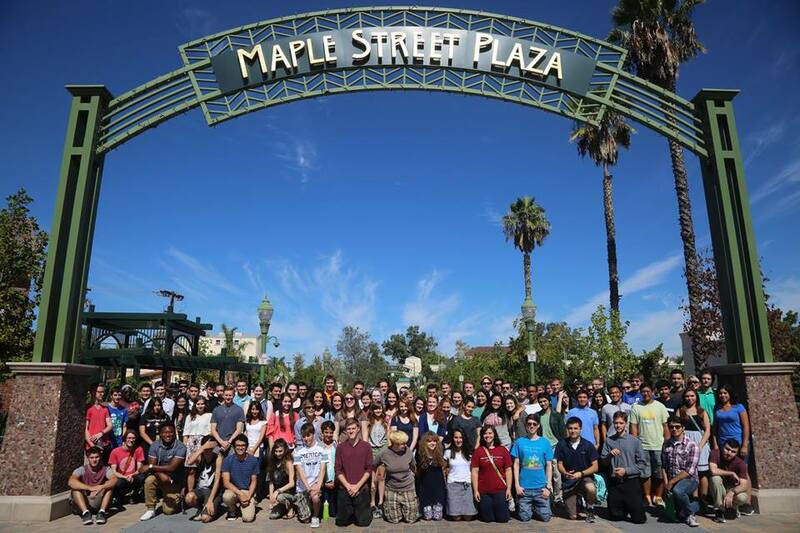 Orientation of this year’s students in September, 2015. In any event, today, the school occupies the former Mingei International Museum Escondido Satellite, a giant building at 155-237 W. Grand Avenue. The school also is growing rapidly. 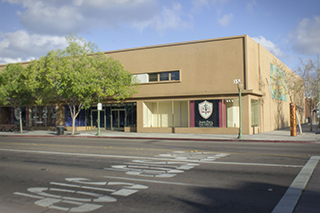 It recently acquired the former H. Johnson Furniture building next door and soon will occupy much of a central Escondido downtown block. The number of students is rising as well from 170 in 2011 to 300 today. The school is accredited by the Western Association of Schools and Colleges. It specializes in educational philosophy initiated by the Franciscan University of Steubenville, Ohio, according to the Cardinal Newman Society, a leading Catholic education resource. Tuition and board for a three academic quarter school year is $31,200. Some 90 percent of the school’s students are Catholic. Be the first to comment on "Grand Avenue filmmaking 101: ‘Mr. Getaway’"